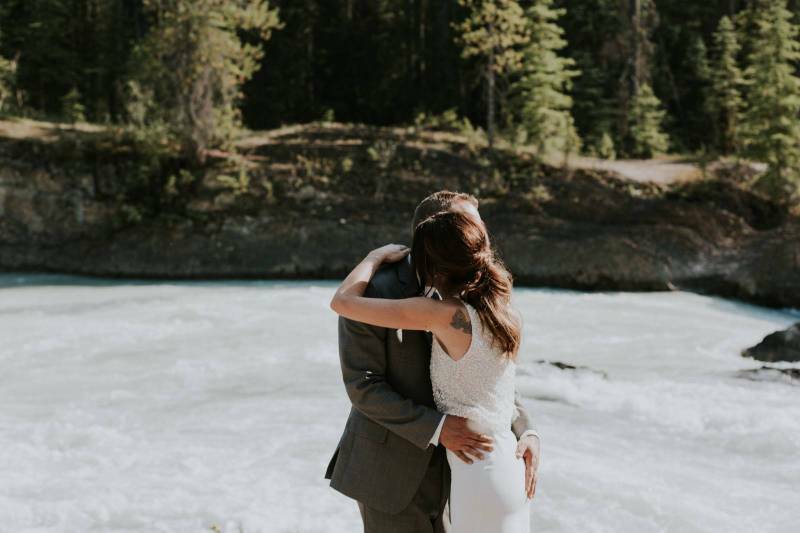 We always love heading out to the beautiful Emerald Lake for weddings and our amazing bride Raquel planned the most romantic and sophisticated wedding so it was an extra special treat! Raquel entered her breathtaking wedding ceremony with a modern but elegantly styled "pony tail" (for lack of a better word). We added volume, texture and a few sophisticated twists to her hair so it looked incredibly chic pulled back and worked so well with the simple silhouette of her dress and its modern feel. We kept her makeup natural but added a bit of drama to her eyes through shades of gold and brown to help accent their natural beauty. You can find more wedding hair and makeup inspiration in our galleries - you'll find classic hairstyles and makeup, bohemian inspiration and even some incredibly natural inspiration. 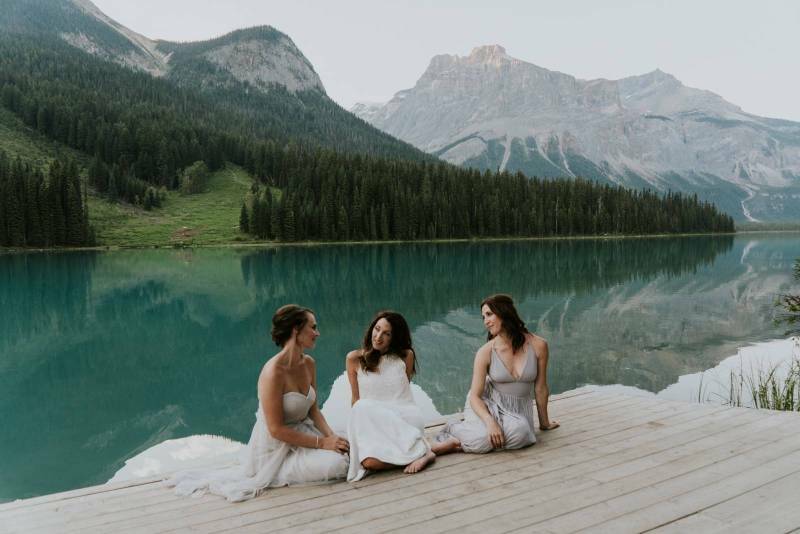 Mountain Beauties is a team of passionate and committed artists who focus on bringing high-end hair and makeup styling to weddings throughout Canmore, Banff, Lake Louise and beyond. Our team is continually sought-after because of our incredible experience and high-level of training and expertise, as well as some of the unique offers we provide, like up to 3 different styles during your trial and our 8-hour style guarantee. Get in touch with Mountain Beauties today! A beautiful romantic bride, we loved creating this gorgeous and accenting hair with real flowers and beautiful peach lips.